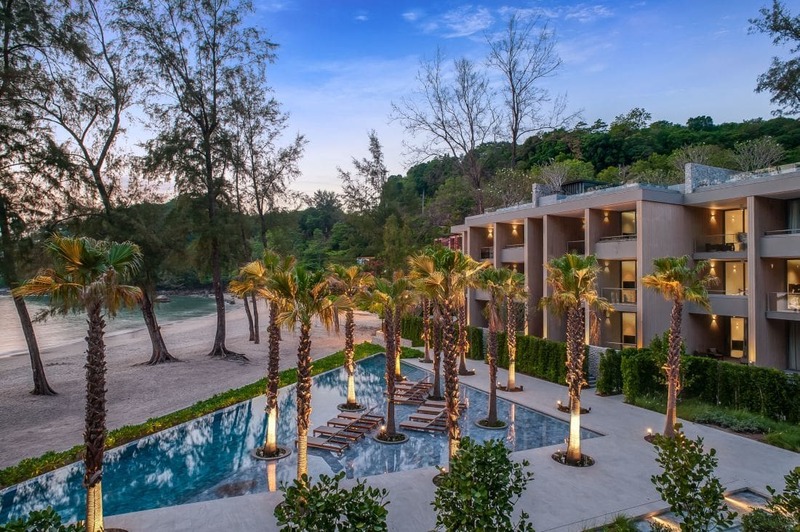 MontAzure, the upscale mixed-use residential resort community set on 454 rai (178 acres or 72 hectares) of mountainside to beachfront land in Kamala, has launched 3 new on-site beachfront show suites at the award-winning beach condominium development, Twinpalms Residences MontAzure. 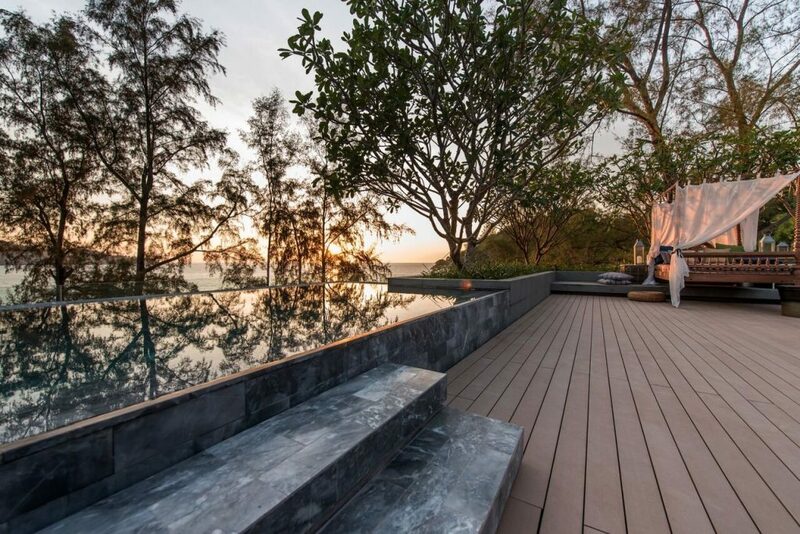 Considered by real estate experts to be one of the most compelling lifestyle investment opportunities on Phuket, the development will be managed and operated by Twinpalms Group. 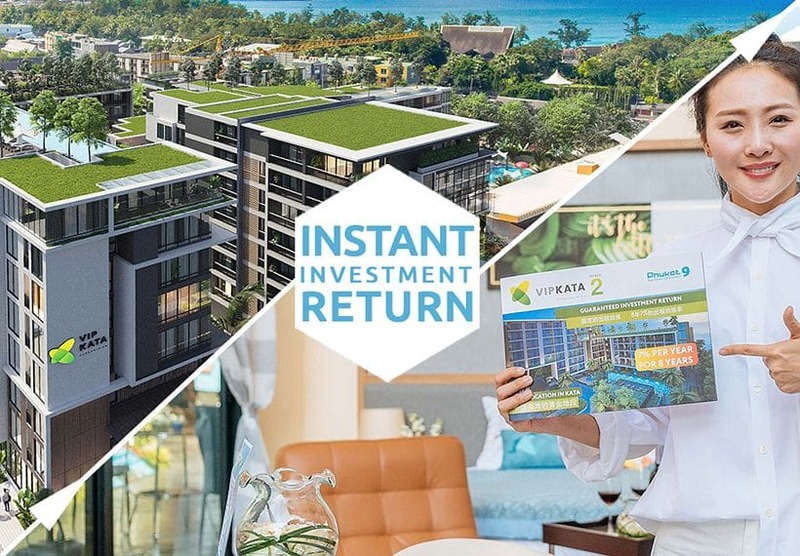 Investors and visitors will be able to tour and experience all three of the units to really get a feel for the unique luxury island lifestyle on offer. 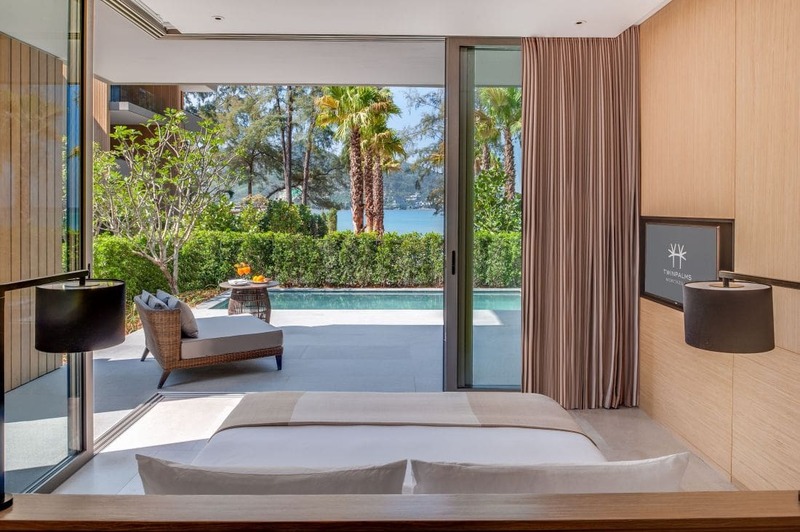 “Recent luxury investment trends on Phuket have seen a move away from private villas toward upscale condos, especially penthouse units with outdoor facilities. Buyers appreciate the opportunity to own these luxury properties on a freehold basis,” says MontAzure Executive Director Setthaphol Boottho. 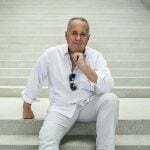 “Properties managed by reputable brands also attract savvy investors, as the condos can be rented out to international visitors and therefore generate income when owners are not using them,” he added. 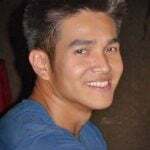 Andreas Savvides of Haveli Design, whose pedigree includes several landmark residential developments in Bangkok including 185 Rajadamri and The River, designed the interiors for two of the new show units at Twinpalms Residences MontAzure, one of which is a stunning penthouse with a rooftop pool and ocean view sun deck. 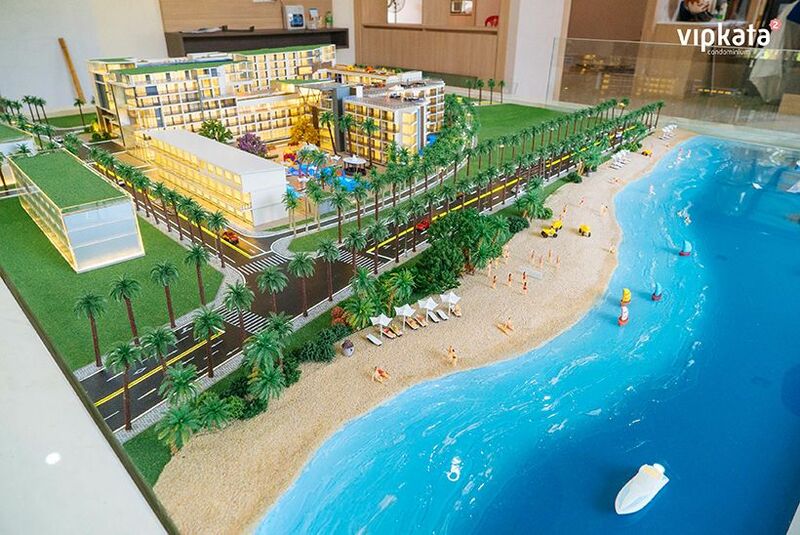 As the first phase of the expansive MontAzure master-planned mixed-use development, the luxury beachfront condominiums have already attracted lifestyle-driven investors looking for a combination of hotel-based yields and usage time, along with strong capital appreciation due to the rare beachfront location. 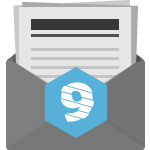 Owners enjoy privacy and world-class facilities without having to employ their own staff as they would at a private villa. The development is sensitively designed as a series of low-rise clusters orchestrated around generous communal swimming pools with intimate views of the beautifully landscaped grounds. One-bedroom units are sized from 70 to 250sqm while the two-bedroom units range from 154 to 400sqm. 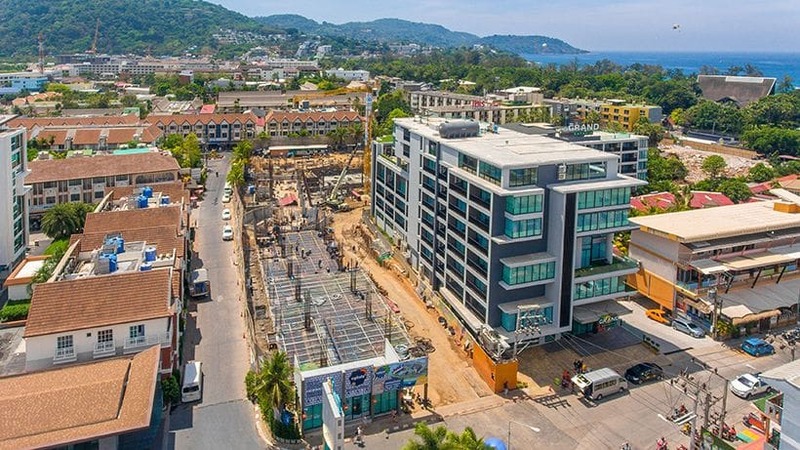 The developers also recently added super penthouses measuring an impressive 799sqm and offering stunning views of Phuket’s idyllic sunset coast. 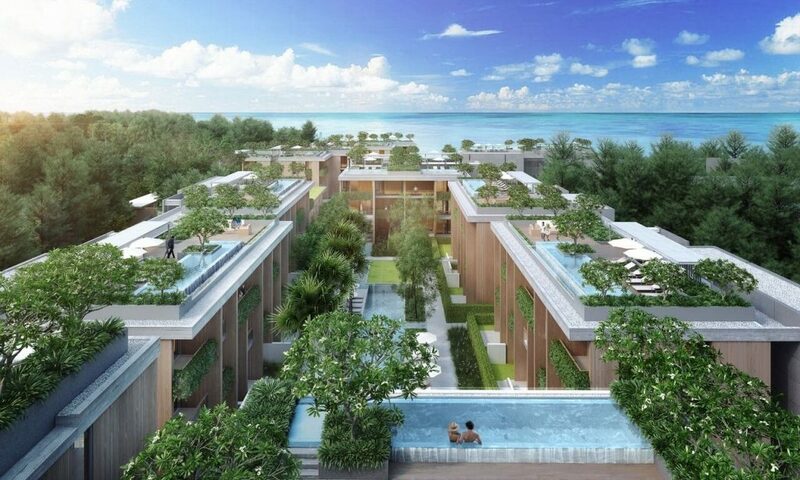 Prices for entry-level investment units start from 15.5 Million baht. 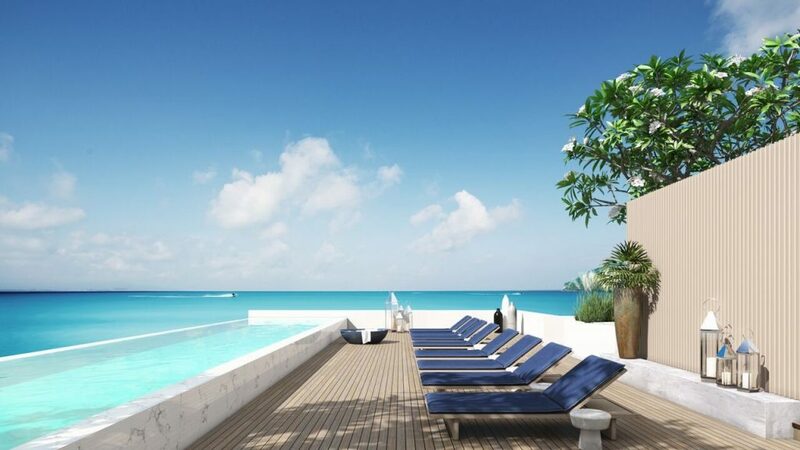 Part of the development’s beachfront zone, Twinpalms Residences MontAzure is just a short stroll along the beach from HQ Beach Lounge, which has become an island favourite for its chic, contemporary oceanfront dining and entertainment. The sea view restaurant at HQ serves delicious light fare, signature cocktails, fine wines and an eclectic music selection to match the casual surroundings. Right next door to HQ Beach Lounge, lifestyle aficionados can enjoy causal fine dining, world class drinks and entertainment at Café Del Mar, Phuket’s hippest waterfront venue with 40 metres of beach frontage and chic tropical design. A rolling schedule of events includes weekly pool parties, international guest DJs, and tempting food and drinks promotions to attract a stylish global clientele. 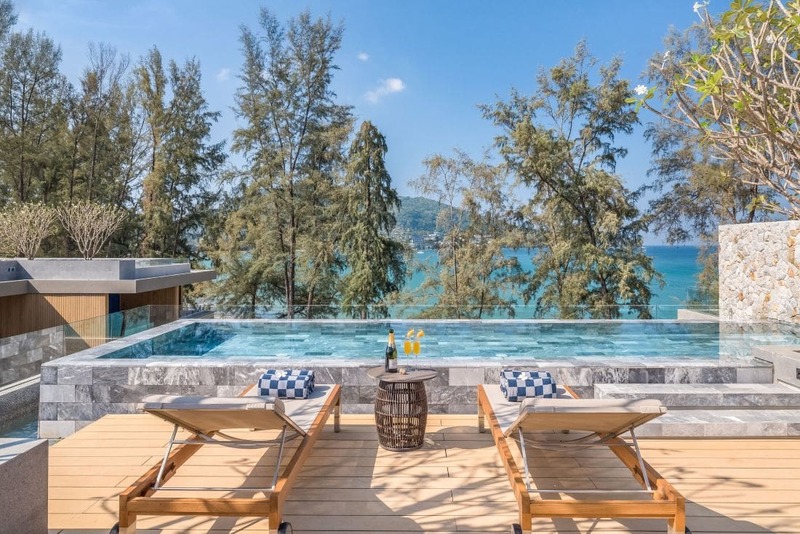 Enhancing the unique choice of word-class beachfront facilities, MontAzure’s anchor hotel, InterContinental Phuket Resort, will open this year to offer visitors and residents of Kamala even more options for dining and entertainment, complementing the breathtaking sea views and tropical surroundings. 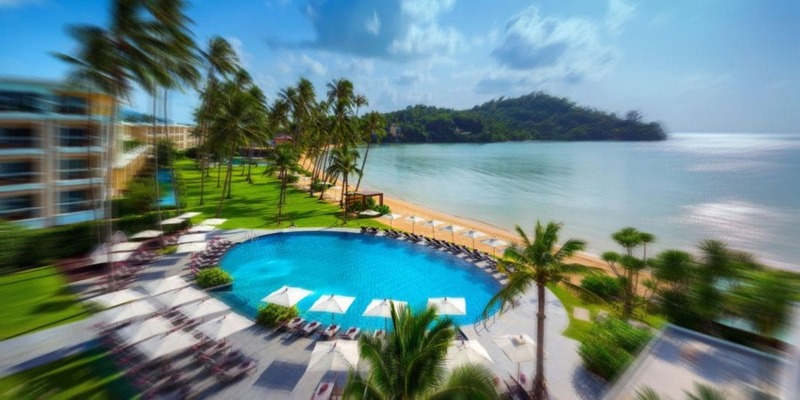 “Twinpalms Residences MontAzure offers buyers a rare opportunity to own a property within an integrated beachfront resort and residential community just steps from the pristine sands at Kamala beach and within walking distance of the island’s most popular beachfront venues,” says Henri Young, Director of Marketing at MontAzure. 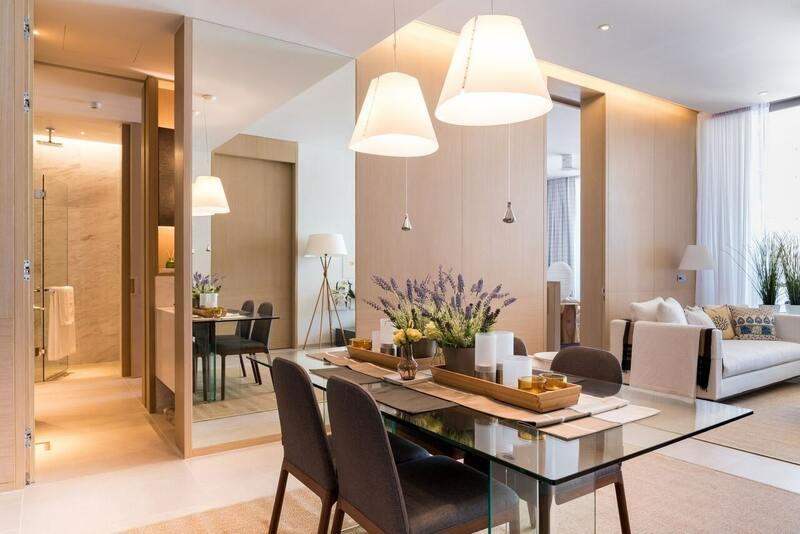 To mark the launch of the new show suites and MontAzure is offering buyers a guaranteed return on investment for 3 years on selected units, as well as free furniture packages valued up to 2 Million baht.